Willis says, “What makes this all the more tragic is Israel is the only nation whose God is real; yet they are the only nation to ‘trade in’ their God for another. 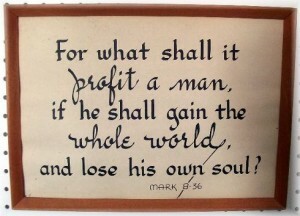 Their God possesses Glory, yet they have put their faith in things that cannot profit, things that are worthless. So what Israel has done is not typical, even for nations who would have more reason to do it.” Paul expresses the same truth to the Church in his letter to the Romans. He was utterly amazed at those who traded God for idols (Romans 1:22f). They exchanged natural desires for unnatural ones. They exchanged the truth about God for a lie. 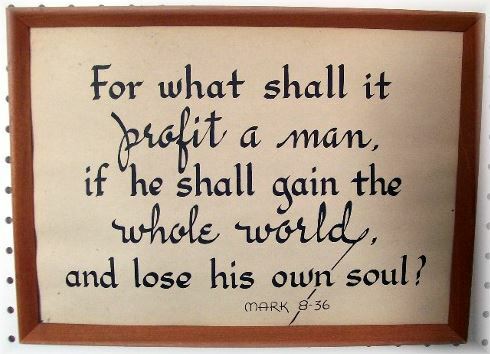 Jesus talked about what good it would do for someone to gain the entire world but forfeit their own soul in return. It is a bad bargain. We often go after things in life and compromise everything that truly matters for things that will not last. I like what Moore says, “Realizing your dream at the cost of your soul is always a bad bargain.” It was for Israel and it is for us as well. Philip Graham Ryken, Jeremiah and Lamentations: From Sorrow to Hope, Preaching the Word (Wheaton, IL: Crossway Books, 2001), 41. Robert Davidson, Jeremiah, vol. 1, The Daily Study Bible Series (Louisville, KY: Westminster John Knox Press, 1983), 28. Timothy M. Willis, Jeremiah/Lamentations, College Press NIV Commentary (Joplin, MO: College Press Pub. Co., 2002), 44–45. Steve Moore, The Dream Cycle: Identify and Achieve God’s Purpose for Your Life (Indianapolis, IN: WPH, 2004), 110.